Arch enemies the US and Iran seem to have found unity in sport. Both countries want to save wrestling as an Olympic event, as they are ready for ‘possible cooperation’ to fight a decision by the IOC to drop wrestling from the 2020 Olympics. "Wrestling has brought closer the people of Iran and the US," Mehr news agency has quoted US wrestling coach Zeke Jones as saying, following his arrival in Tehran with his team for an international tournament. American wrestlers will compete in freestyle events later this week after the completion of Greco-Roman matches. The US sports team only makes infrequent appearances in Iran, but the two countries often compete together in international events. Wrestling seems able to keep politics out, when it comes to relations between the two countries, as the US sent more than 30 athletes to Iran under a sports exchange program launched in 2007. 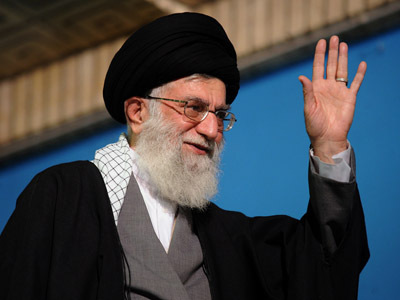 While more than 75 Iranian athletes and coaches have already visited the United States. On Monday, US wrestling officials formalized plans for a committee charged with pushing to retain the sport as an Olympic event. 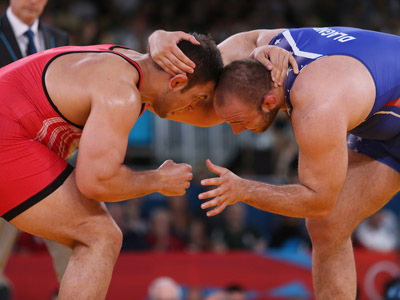 Wrestling now must compete against other sports for one open slot in the Games – along with baseball/softball, karate, roller skating, sport climbing, squash, wakeboarding and kung fu. Iran also has said the country is looking to join wrestling's major powers to reverse the IOC last week’s decision to drop wrestling into a category of the other eight sports vying for single available place in 2020 Games. Last week, the Iranian wrestling federation and Olympic committee sent a protest letter to the IOC. Iran sees wrestling as their national sport. Since 1948, it has actively participated in international events of the sport and its wrestlers have collected many Olympics medals. Iran won three gold medals out of six overall in wrestling at the London Games, and the US took two gold medals out of four overall. The three styles of wrestling, Greco-Roman and both men’s and women’s freestyle, accounted for 18 of the 302 sets of medals awarded at London 2012 with four golds going to Russia, the world’s leader in the oldest Olympic competition.